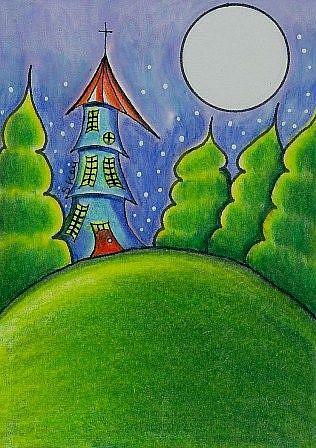 One of my popular bright and colorful landscapes done in colored pencils. Moonlit castle, monastery, church. 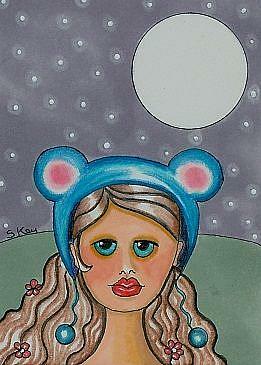 These are very collectible original miniatures artworks that are 2.5" x 3.5" baseball sized ACEO art cards. They can be framed, collected in albums, game card boxes, and are great in a gift package or set. To see all my items for sell on Ebay (Click Here).